A CHILD’S right to a meaningful relationship with his or her father trumps a woman’s right to pursue personal happiness after divorce, according to the latest ruling on the matter by a Family Court magistrate. In a judgment handed down in Melbourne, federal magistrate Evelyn Bender acknowledged that some women feel compelled to “start fresh” after divorce by leaving town, with the children. Until recently, they had mostly been allowed to go their way, on the grounds that happy mothers meant happy children. However, the shared parenting law, brought in by the Howard government in 2006, shifted the pendulum toward a child’s right to have the father involved in all aspects of life, including weekday meals, weekend sports, overnight stays and parent-teacher nights. The shared parenting law is the subject of a government review. In the most recent case, known as Bachman and Bachman, the wife, aged 25, tried to get permission to move to a town 100km away from the home she had shared with her former husband, taking their sons, aged six and two, with her. The court banned the move, saying the woman could not move beyond a 30-40km radius of her former husband’s home with the children. The couple had separated after the wife contracted gonorrhoea from her husband after he returned from a business trip to Indonesia. The court accepted that the wife was unhappy and lonely in the Victorian town where she lived, which was badly damaged in the Black Saturday bushfires. The husband told the court he “wished to be involved in all aspects of the boys’ lives” during the week, including Auskick, and that was not possible if his former wife moved more than 30km away. Ms Bender said she accepted that the wife was unhappy in the town and “genuinely believes the move will provide a more positive and fulfilling life”. However, the law was clear that the child’s welfare had priority, she said. 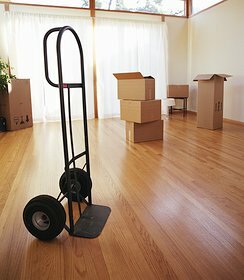 Relocating children after divorce: when is it ok?